YouTube just made it a lot easier to access its content over a limited connection. In order to help users to save data, especially in developing countries, YouTube released the YouTube Go app – a lighter version of the popular media sharing app. While Facebook had enjoyed a lot of success by launching their Lite application a few years ago, over 200 million users of the app have benefitted from its launch. This time around, YouTube is hoping to also emulate the same success by making a less consuming version of their app so it is accessed more widely by a large number of audiences who are unable to connect to their service. The app weighs less than 10MB to download and is a bare-bone version of the original app, maintaining certain features and adding one or two more interesting ones. When users want to share videos to their friends, they can use Wi-Fi Direct to allow sharing of content. No internet is used here and the videos can be easily shared across multiple devices without the other party needing to download it. Once users download videos from the app, they can then share it to the others directly from the app through Wi-Fi Direct. Because this app is meant for just saving data, there are two viewing resolutions – basic and standard. The app will be able to preview videos even on super low bandwidth. The app will also monitor and display how much data has been consumed after viewing a video. There is even a pop up that indicates how much available storage is left in the user’s phone for downloading more videos. The app was developed specifically for Indian markets where data consumption and access to stable networks is the lowest. The faster and lighter YouTube Go aims at alleviating the problems of low bandwidth and allowing everyone to access the best of YouTube. It should be noted that not all videos on the service will be fully accessible, since certain videos as those preferences are set by the owners of the YouTube channels. While the original YouTube app already allows offline viewing, this iteration of the app is built to save more data when downloading. 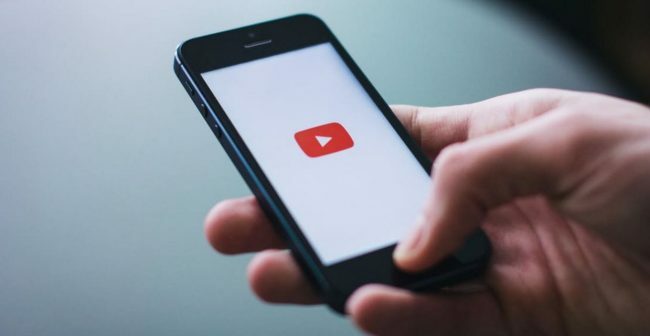 According to MakeUseOf.com, users will also be able to set a data limit so they can decide how much data should be spent on each video – that is a great feature and quite an important one too, as prepaid plans are costly and internet management is quite poor in developing countries like India. The app is also available in various Indian local languages like Marathi, Bengali, Gujarati and Tamil. Currently, the app can only be accessed by signing up for testing. As far as availability goes, we aren’t sure if it is only going to be available in India only or if it will see wider release. It doesn’t seem to have the functionality to upload videos, and that’s a shame, since there could be a lot of new possible YouTube stars waiting to be discovered if they could just have the means to upload themselves. Perhaps at a later update?